My son is always so hungry. Want to know what he says first thing in the morning? Mom, what's for dinner? Not good morning mom, nice to see you mom. No. He's got food on the brain. It's no different after school either. Mom, what's for dinner? I always have him grab a snack as soon as he gets home from school. He eats the usual, fruit or some sort of salty snack which had me thinking, I should switch it up a bit. Something tasty that he would like. I knew just the thing. When I first saw a box of Oreo O's cereal over the summer, I grabbed it because I knew it would be something my family would enjoy eating for breakfast. I mean, who doesn't love the taste of Oreos? Of course, my they killed it! 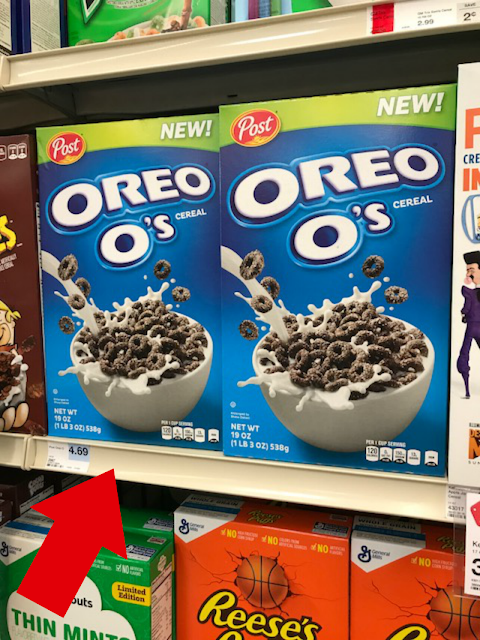 I found myself heading to my local Hy-Vee to grab a box Oreo O's cereal and ingredients for a snack idea that is out of the ordinary. Speaking of Hy-Vee have you seen this place? It's literally a one-stop shop. The even had a postal service inside the store. Now that's what I'm talking about! 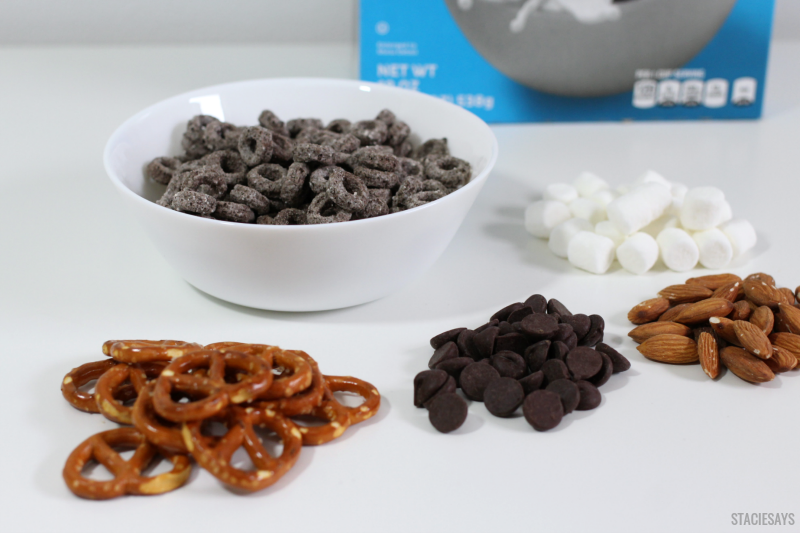 Anywho, here's what you need to make my Oreo O's snack mix. It's simple. 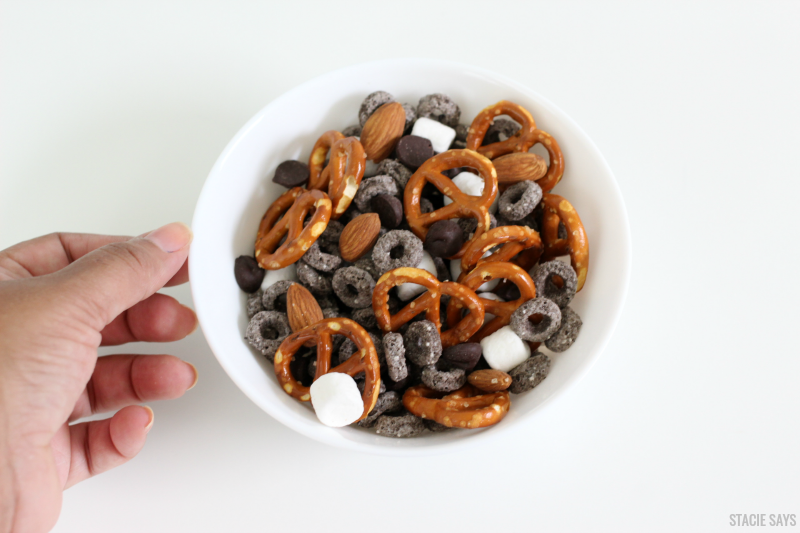 Just add all the ingredients to a large snack bowl. Give it a gentle toss and enjoy it right away or save some for snack time by putting some in a large plastic sealed bag. See, told you it was easy! My son gave my Oreo snack recipe a two thumbs up. 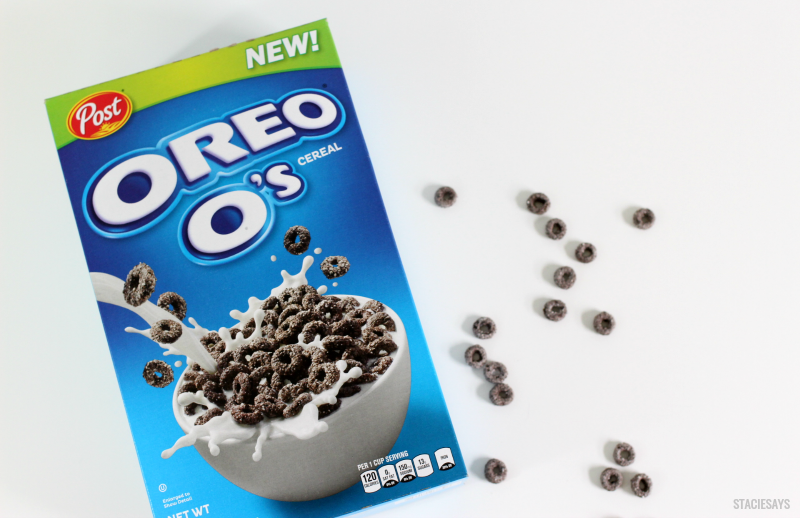 Have you tried Oreo O's cereal yet? What an interesting mix. I would have never thought to make a mix like this. I have to try it! I need this! My kid is always looking for a something to munch on and I could totally be the taste tester. Looks delicious!!! I love a good sweet and salty combination! I love dry cereal, more than I like it with milk. This a good snack to keep in my purse. The kids would enjoy it as well. Give me all the oreo anything. I would definitely make this mix and hide it from my kids. Oh my gosh I never thought of making a snack like that out of cereal. This is brilliant girly. Omgg, OREO has a Cereal? Looks tasty Stacie, we will have to try! I haven't seen this cereal as we are more of the Raisin Bran eaters, but this looks like a tasty snack. This sounds like a great cereal for oreo lovers. One of my good friends used to crumble up her oreos in a bowl of milk. I bet she would like this. I have never tasted the oreo's cereal. Does it taste like oreos? As I eat oreos and ice cream.. Now I have to look for it in the store. My kids would love a delicious mix like this. I love Oreo's myself. My son would love that cereal. Not sure if his dentist would. LOL. We will have to check it out. I will surely try oreo cereal for me and my kids. The mix is interesting, I want to try this. Thank you for sharing. My daughters are the same way..."What's for dinner mom?" UGH! Sometimes I feel like saying, "Whatever you find in the fridge and you fix it yourself!" LOL! I haven't seen this new Oreo cereal in-stores yet. I'm going to check to see if the girls would like me to pick them up some. Thanks girl for sharing about this! This looks delicious. I wish I could try it but have to stick to my healthy eating and chocolate is a big no no. The next time I host a kid event, I may have to make this as a snack for them, though. I didn't even know this cereal existed. My husband is the cereal eater in our household - I only eat cereal dry. 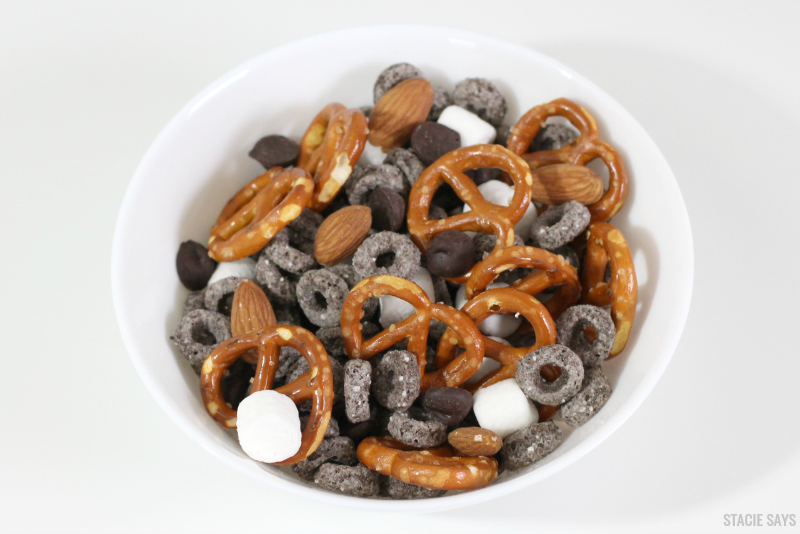 So this type of snack mix is right up my alley.